This year marks the 10th PARAS’10 race at Catterick. 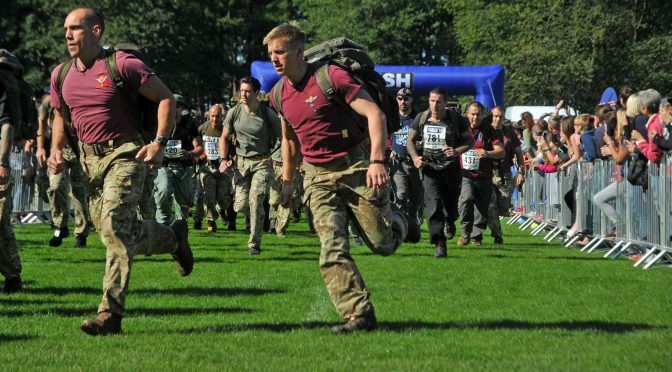 Over the years, we have had over 10,000 people race at Catterick, over the course that our Paras must TAB during training before earning their maroon beret. The Catterick course is the same one that recruits must TAB, with a 35lb bergan plus helmet and weapon, in under 1h 50 in order to be worthy of a maroon beret worn by The Parachute Regiment. PARAS’10 is open to anyone over the age of 16 and entrants can run or TAB the course. We also have a Canicross option for those who like to race with their dogs!